Last week we got lots of new info and images from Batman v Superman: Dawn of Justice in the December issue of Total Film magazine, and it looks like this week we’re going to get a ton of Suicide Squad news! The December issue of Empire is starting to show up early for subscribers of the magazine, and Comic Book Movie got their hands on the issue. 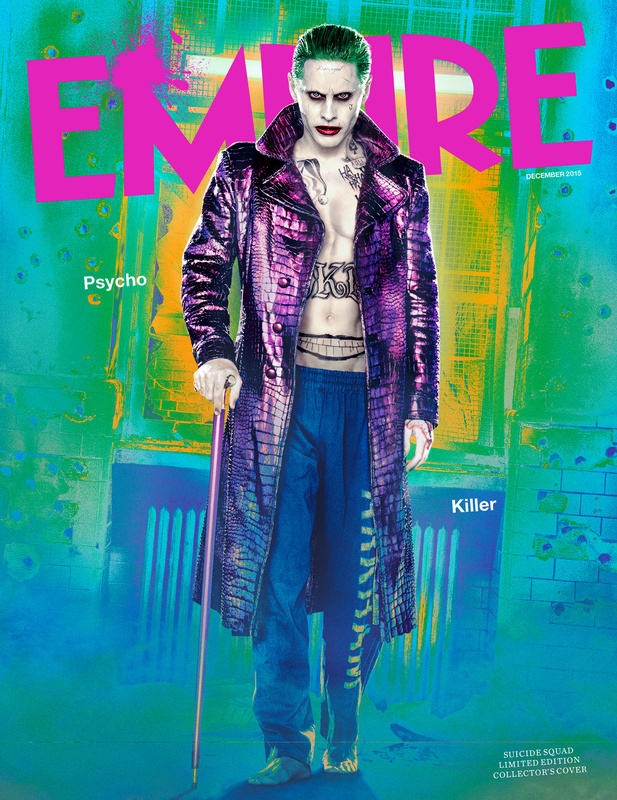 The cover features an awesome new look at Jared Leto’s Joker, and there are even more images inside of Harley Quinn, Enchantress, and more. Check them out in the gallery below. No word yet on when the December issue of Empire will hit newsstands, but stay tuned to Batman News for more!